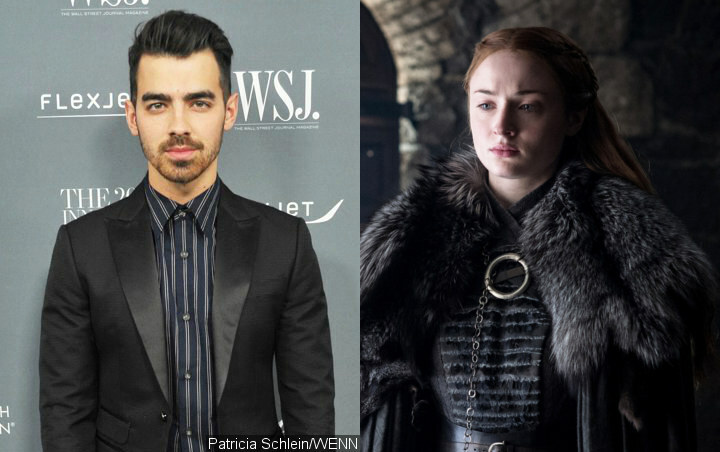 In honor of the show’s eighth and final season premiere, the Jonas Brothers member channels his girlfriend’s character Sansa Stark in a funny Instagram video. Joe Jonas is either a very supportive boyfriend or a die-hard fan of “Game of Thrones“. The 29-year-old singer impersonated Sophie Turner‘s character Sansa Stark in an Instagram video posted on Sunday, April 14 ahead of the show’s season 8 premiere. The clip is set to the series’ opening theme song as Joe is seen entering a room in a blue velvet dress. He looks regal with the golden lining and embroidery on the dress, as he completes his transformation with fake bosoms and long red wig. The clip undoubtedly brings good laughter to his followers, with his sister-in-law Priyanka Chopra among those who commented on his impersonation of Sansa. “Tooooo good! !” the wife of Nick Jonas wrote, adding a cry laughing emoji. Some others, meanwhile, poked fun at Joe’s look in the video. “Titans” actor Alan Ritchson jokingly wrote, “Hast been a harsh winter for our queen.” Another compared his look to Fiona in the “Shrek” movies. “he low key looks like Fiona from shrek,” the said user noted. Sophie Turner herself has not reacted publicly to Joe’s latest tribute to “Game of Thrones” and her character. The British actress took to her own Instagram account to share a set picture from the production of the final season, during which she fell asleep on the filming location. “In honour of the final season of Thrones premiering tonight …. Here’s a picture of me asleep on set,” she captioned the candid snap.